BAD DOG! Dealing With A Dangerous Dog! | Horton Law Group, P.A. Are you a Landlord? Are you a Homeowner? Are you a Dog Owner? An owner is defined as “any person or company that possesses, keeps or has custody or control of the dog.” That’s right, in addition to the actual dog owner being liable, a landlord may be held liable for damages caused by a tenant’s dog if the landlord was aware of the proclivity or history of the dog’s viciousness or if they fail to enforce “no dog” clauses in lease or rent agreements. Did you know that approximately 62% of homeowners have dogs? 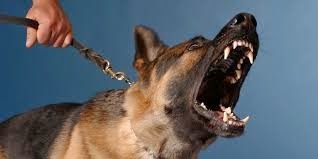 Florida Statute 767.04 imposes strict liability upon dog owners for a bite that causes injury to a human being. The statute provides in part: The owner of any dog that bites any person while such person is on or in a public place, or lawfully on or in a private place, including the property of the owner of the dog, is liable for damages suffered by persons bitten, regardless of the former viciousness of the dog or the owners’ knowledge of such viciousness. However, any negligence on the part of the person bitten that is a proximate cause of the biting incident reduces the liability of the owner of the dog by the percentage that the bitten person’s negligence contributed to the biting incident. On the flip side – If a dog that has previously been declared dangerous, attacks or bites a person or a domestic animal without provocation, the owner is guilty of a misdemeanor of the first degree. The dog will be impounded for a period of ten days during which time the owner of the dog may request a hearing. But, TIME IS OF THE ESSENCE. You can try to avoid Liability by posting a sign that is clear and “easily readable” that states “BAD DOG” on your premises. The dog owner is not liable, except as to a person under the age of 6, or unless the damages are proximately caused by a negligent act or omission of the owner, if at the time of any such injury the owner had displayed in a prominent place on his or her premises a sign easily readable including the words “Bad Dog.” The remedy provided by this section is in addition to and cumulative with any other remedy provided by statute or common law. Landlords, you can attempt to minimize liability by having an experienced attorney draft and/or review your residential and commercial lease agreements to ensure pet provisions are properly worded and enforced. Is your dog dangerous? In serious cases, some dogs are declared “dangerous dogs” by Florida law. In these cases, special actions must be taken by the owner, and certain consequences will result from any damage caused by the dog. If a dog is declared to be “dangerous,” it must be registered with the authorities and be permanently identified as dangerous. The dog is to be kept in a secured area with warning signs at all entrances that notify all individuals of the dangerous nature of the canine. If the owner wishes to take the dog outside of its secure location, the animal must be restrained by a muzzle and a sturdy harness or leash by an individual older than 18. Any injuries caused by the “dangerous dog” may result in criminal charges for the owner, up to and including homicide, depending on the severity of the injury. If a dog attacks an individual in defense of its owner, the dog’s owner generally will not be liable for the damage(s) caused. Florida statute 767.01 also imposes liability on a dog owner for “any damage” to a person or domestic animal, meaning that you can be liable for damage caused by your dog to another – even if the dog does not bite them……a non-bite injury. DOG OWNERS BEWARE: In strict liability cases, the plaintiff has no burden of proof to show that the defendant dog owner was at fault; however, there are instances where the defendant can raise mitigating factors that may affect how damages are calculated. Two of the most common defenses include comparative negligence (which only applies to persons over the age of 6) and the “bad dog” exception as discussed above. 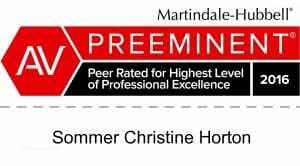 If you have a dog and would like more information about Florida’s dangerous dog and dog bite laws or if you have questions about the content of this article, please call Attorney, Sommer C. Horton of the Horton Law Group, P.A. Or, if you are a landlord who leases residential or commercial property to tenants who have dogs on the premises and you would like more information on protecting yourself through a properly drafted lease agreement – You can reach Ms. Horton at 561-299-0018 or email her at shorton@horton-law-group.com.